After a long and hot Miami day, it's now humid and cloudy outside, which makes my brain scream for comfort food! Instantly, I started to crave mac 'n' cheese, and pizza, and pepperoni, and intense flavors, but alas, I don't exactly have everything to make any of those completely. So, why not blend them into a recipe that I can still have veggies in without feeling too guilty? I mean, c'mon, it's the weekend. I need to have a little diet leeway on the weekends, but I don't necessarily want to completely cave by eating McDonald's or Pizza Hut. Oh, and, I need to keep A's food ways in mind, which sometimes is like dealing with a picky hungry teenager! So, why not blend pasta and pizza together with this featured spaghetti sauce? Well, that's exactly what I did, and let me tell you... My cravings were definitely satisfied. It's quick to make, and you could cook the pasta (I used pre-cooked tortellini) at the same time, so in under 15 minutes, you have a great and delicious dinner, good for anyone from kids to the older crowd. I bet you could also use this as a dip, because I definitely wanted to dip some bread in the leftover sauce on my plate (but shhh, hope you keep my secret craving!). Even though I made this recipe on the stovetop, this recipe can be adapted to the slow cooker; I bet cooking it in the slow cooker would bring out a whole new depth of flavor to this recipe that would blow anyone's mind away! Maybe this sauce might end up on an actual pizza one night... I'd just have to buy some pizza dough and try it out. 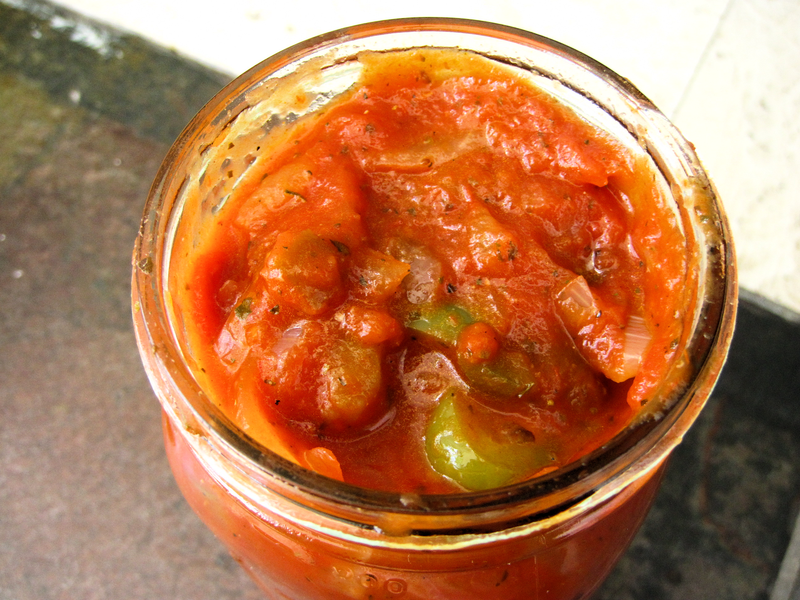 I'd love to find out how you use this sauce, so feel free to share. "Use a meatless spaghetti sauce, such as marinara, in this recipe." 1) In a large skillet cook sausage, onion, and garlic until meat is brown. Drain off fat. 2) Add pasta sauce, pepper, pepperoni, and basil. Heat to boiling; reduce heat. Simmer, covered, for 15 minutes or until the pepper is tender. Prepare as above through Step 1. 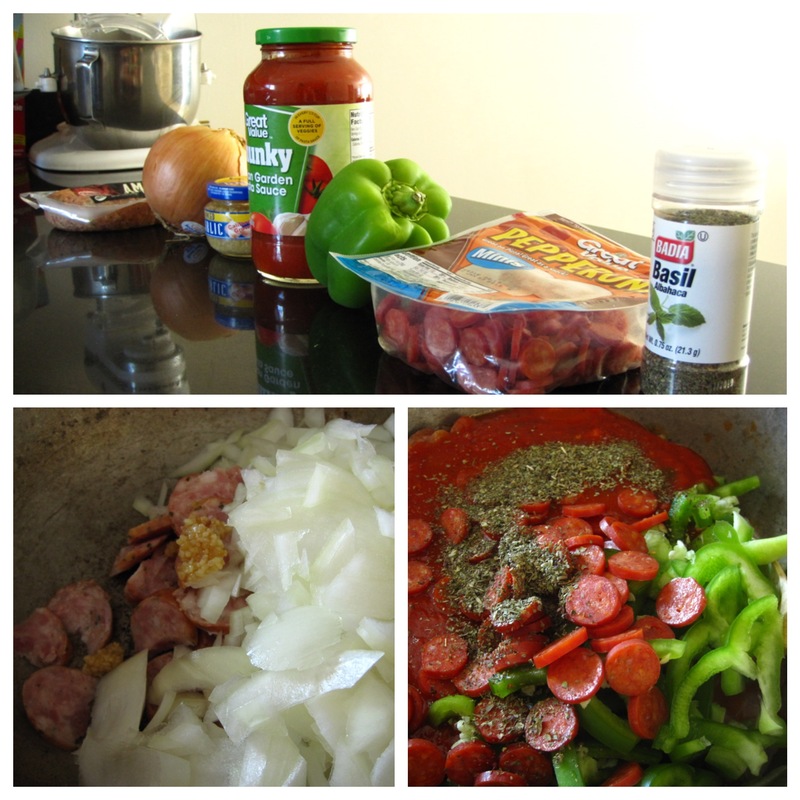 In a 3 1/2 or 4 quart slow cooker combine pasta sauce, pepper, pepperoni, and basil. Stir in the sausage mixture. Cover and cook on low-heat setting for 3 hours and 15 minutes.